A teacher can only teach what they know, this seems simple, however how does a student judge whether a teacher should be a teacher, not an easy task. 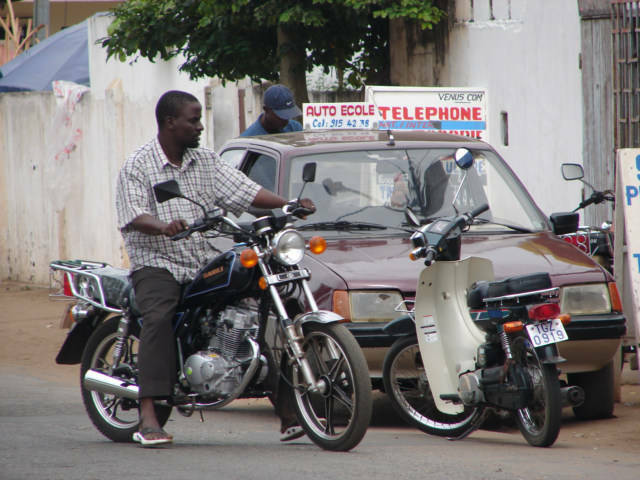 There is an Auto Ecole here in Lome, or a Car School, I encourage the whole world to have Schools to teach people how to drive cars, motorcycle and trucks, and all the other forms of petrol powered weapons. Cars are dangerous, they make AIDS simple, and malaria is a joke. Ok, how to learn, well sadly Africa is not the place to learn how to drive a car. I am not sure, I think Belgium people are the safest drivers I have encountered, go there to learn. Do not go to Barcelona to learn Spanish, they speak Catalonia. 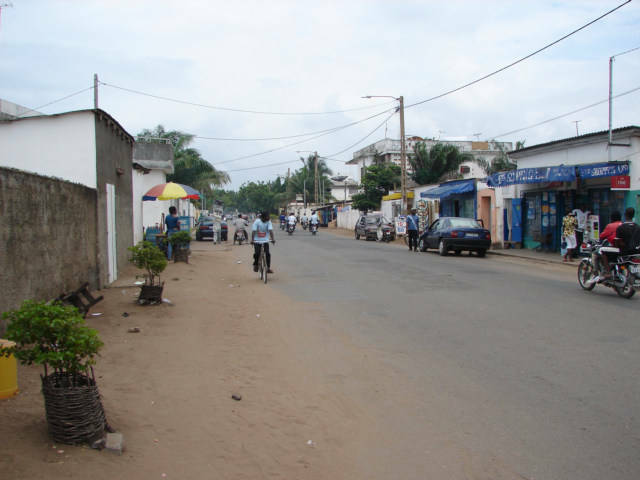 I should not learn French in Togo… they speak Ewe or Mina. I would like to request Belgium to send driving school teachers to Africa, it would save lives. The photos in sequence and captions. I stood at a distance, trying to show the whole scene. 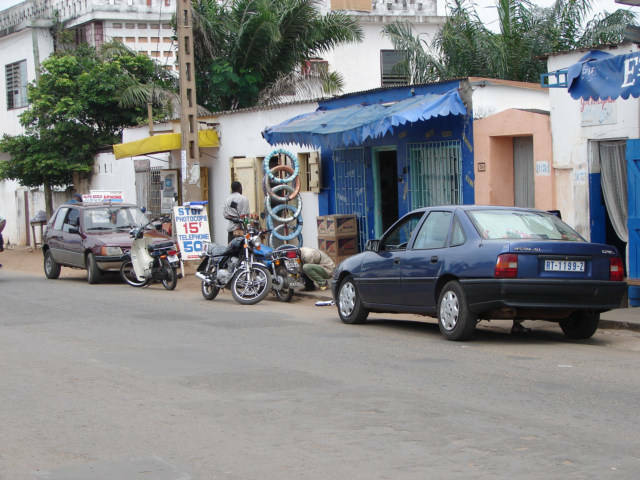 The cars in Togo have the Frenchie way of driving, or the same as the USA, they drive on the right. What is this Motorcycle Mirror doing in the photo, are you looking for the driving school? Cars and Motorcycle pass quickly. Ok, I give up, which direction do the cars drive on this road? The car to the left is the Auto Ecolo or Car School student car, the car closest is pointed the right direction. This is the student-training car parked in front of the school. 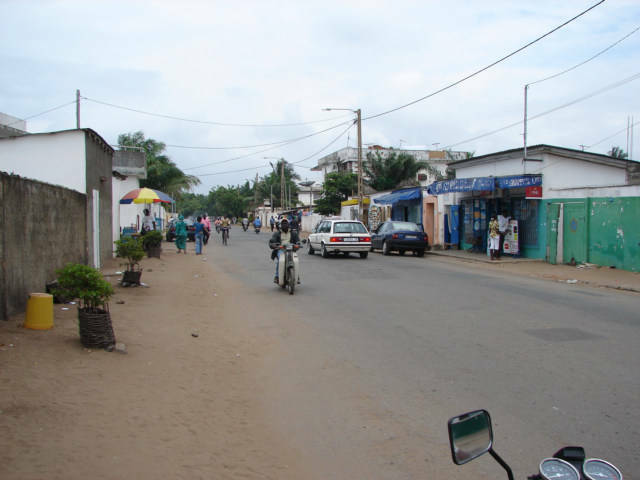 I am glad there are car schools in Togo, it is progress, and I do believe they will help to save lives. I would encourage and hope there are many more, as it will slowly make the country safer. I am not trying to mock the school; I think this school is good. However, as I said, I try to explain how to learn. 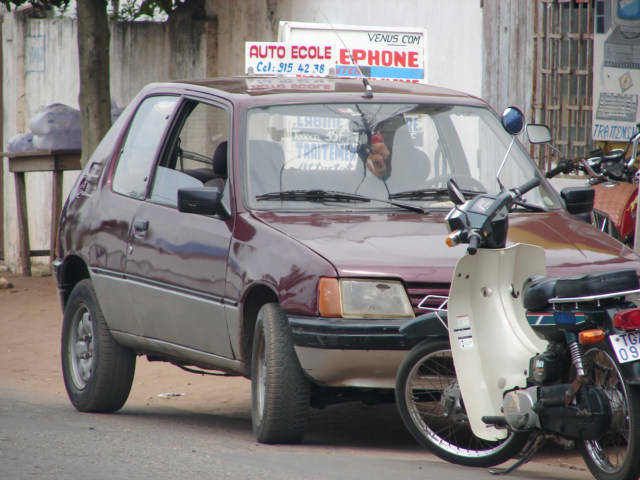 I would guess the teacher here is one of the better drivers in Togo, as he is trying and is about as good as it gets here in Togo. If you want to learn something, find a proven success, then copy. Many years later when you finally figure out why the successful person does what he or she does, then try to improve.